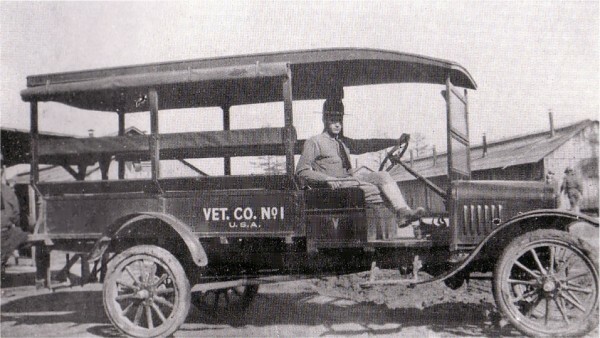 The U.S. Army Veterinary Corps was formally established by an Act of Congress on 3 June 1916. However, recognition of the need for veterinary expertise had been evolving since 1776 when General Washington directed that a “regiment of horse with a farrier” be raised. In the 1890’s veterinarians were being sought to inspect meat, poultry and dairy products destined for the frontier posts. Strong academic background in microbiology, epidemiology, pathology and public health has always made veterinarians ideally suited for a role in ensuring wholesomeness of food. The Spanish American War was pivotal in the evolutionary pathway leading to establishment of the Veterinary Corps. The Army had inadequately prepared for its role in maintaining the health of both its animals and its Soldiers prior to the war. The infamous “embalmed beef” scandal, incorrectly absorbed blame for the loss of numerous American lives. In actuality there was a lack of adequate quality assurance factors which lead directly to the loss of thousands of American lives as well as having rendered even greater numbers of soldiers completely ineffective. The country began demanding that something be done to preclude such catastrophes in the future. Veterinary Corps participation in all of our nation’s conflicts since World War I has been an essential element in the maintenance of the health and well being of both animals and Soldiers. The highly technical education obtained by veterinarians has continued to prepare them for their changing mission requirements for over the past ninety years.